Another fallout of the thawing of relations between Cuba and the U.S. — and a pretty neat story, to boot. Scientists at the Roswell Park Cancer Institute in Buffalo, N.Y. announced a partnership last week with the Center for Molecular Immunology in Havana to work together on a vaccine for lung cancer vaccine. Cuban doctors have been working with a vaccine for lung cancer and melanoma that has shown promise. 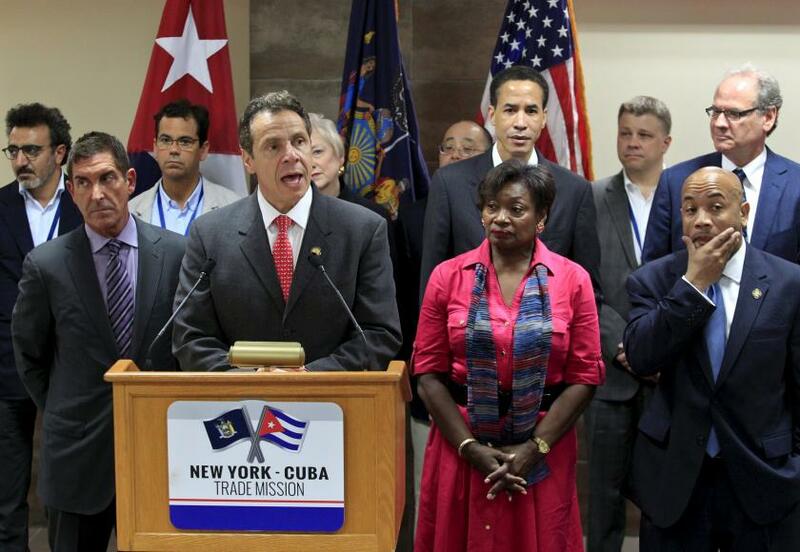 The vaccine, known as CIMAVAX, has already undergone rigorous testing in Cuba. It has shown success in reducing antibody responses in lung cancer patients and reducing future tumor growth. Without FDA approval, however, the drug won’t see a U.S. rollout. Scientists still need the authorization to perform clinical trials demonstrating the vaccine’s safety and effectiveness. Johnson says the plan is to get testing underway within eight months to a year, provided they can put together the more than 1,000-page investigational new drug (IND) application for the FDA’s review. The vaccine, if it’s shown to be effective in the U.S., might someday be given to people at high risk for lung cancer — and the group at the highest risk is smokers. “Because of its lack of its toxicity, you could think of using this vaccine in more of a preventive manner,” said Dr. Candace Johnson, president and CEO of Roswell Park and oncology professor at SUNY Buffalo. That would happen in two possible ways. The first is preventing early-stage cancer from recurring after treatment, as these patients face a greater risk. The other is preventing high-risk people, who have not received a diagnosis, from ever developing it. Smokers, Johnson says, top the list. The story also makes an interesting point at the conclusion, and a point I’ve read before about DNA testing for lung cancer. There is a concern that if a vaccine actually could be developed for smokers to protect them lung cancer, would that demotivate smokers from quitting? There is a currently a DNA test available that can show your risk to lung cancer … and similar concerns were raised about this test … that if the test showed low risk for lung cancer, would that demotivate smokers from quitting? I guess I’d respond that … you know, there are a LOT of other diseases you can get from smoking other than lung cancer — COPD and heart disease, plus a variety of other cancers. Honestly, this shouldn’t be an issue. If someone actually thinks, “what the hell, I got a lung cancer vaccine, I can keep lighting up,” frankly, they’re an idiot. A New Orleans bar holding a smoking party. New Orleans’ ban on smoking in bars and casinos (smoking in restaurants was already banned in Louisiana) went into effect this week. And two things happened. 1) A million media outlets are fascinated by the story and wrote about it and 2) The inevitably doomed-to-fail lawsuit has already been filed. In fact, it was filed before it even took effect. The city passed the ban several weeks ago to a considerable amount of hoopla. It’s the first major comprehensive smoking ban passed by a major city in quite some time. I keep saying this — pretty much everywhere that is going to pass smoking bans has already done it; and the places that haven’t passed them tend to be conservative, anti-regulatory government bodies, mostly in the South at this point. This goes to the heart of one of my gripes about anti-smoking ban advocates. They claim smoking bans hurt small businesses such as bars and pubs. They’ll dig up studies proving their point and for every study they did up, I can dig up five studies showing smoking bans don’t hurt the hospitality industry. This is an argument I don’t think I’ve had in at least three years because hardly anyone makes these claims of economic devastation anymore. Anyway, I have always argued this. Maybe there are some people who refuse to go out anymore because of smoking bans, maybe out of spite, and doubtful for very long if they do. And for every one of those people, I’m convinced there is an equal if not greater number of people who haven’t been going out because they hate cigarette smoke and hate being around it, and now will go to the clubs, bars, whatever. Anyway, despite reams of evidence stating otherwise, a number of New Orleans businesses have already filed a lawsuit against the ban (weirdly enough, they filed it before it even took effect.). Harrah’s Casino is one of the plaintiffs. Some other bars and restaurants joined in, including two French Quarter restaurants where smoking is already banned (:/). Anyway, I can’t wait for the economic impact studies about a year from now. I’m going to go out on a limb here and predict this law won’t hurt the overall hospitality business in New Orleans one bit. It might hurt Harrah’s Casino, at least short-term, we’ll see, but not the hospitality industry overall. Why do I believe this? Because so many other places that have imposed smoking bans haven’t seen the big doom-and-gloom predictions come true, and because most of the civilized world outside the Deep South already has smoking bans — so people are already used to them and have been for a few years now. 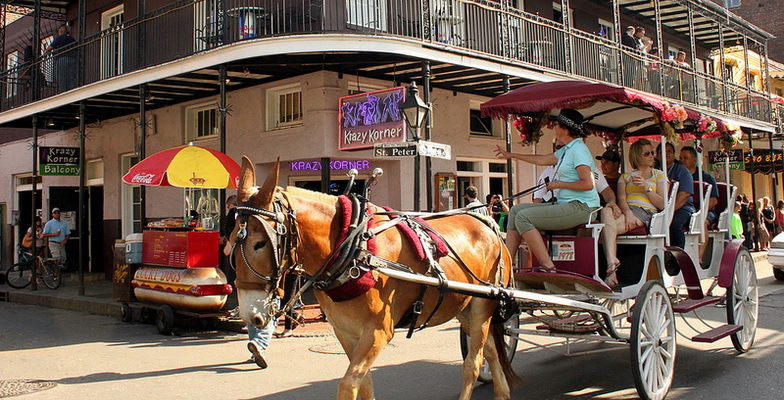 I honestly can’t imagine people seriously canceling their vacation to New Orleans because they can no longer smoke in a club … particularly if they’re from New York … or Chicago … or New England … or California … or all of Canada … or any one of the 31 states with comprehensive smoking bans in place the past several years. Anyway, good luck with the lawsuit. To my knowledge, not one lawsuit has ever been successful in overturning a statewide smoking ban or any smoking ban in a major city. (I think a suit to overturn a smoking ban in Jackson, Wyo., was successful). Time Magazine did an interesting online story about whether the New Orleans smoking ban could lead to the roadblock to smoking bans finally being broken in the Deep South (I will say New Orleans is not the first major city in the South to have a smoking bans. 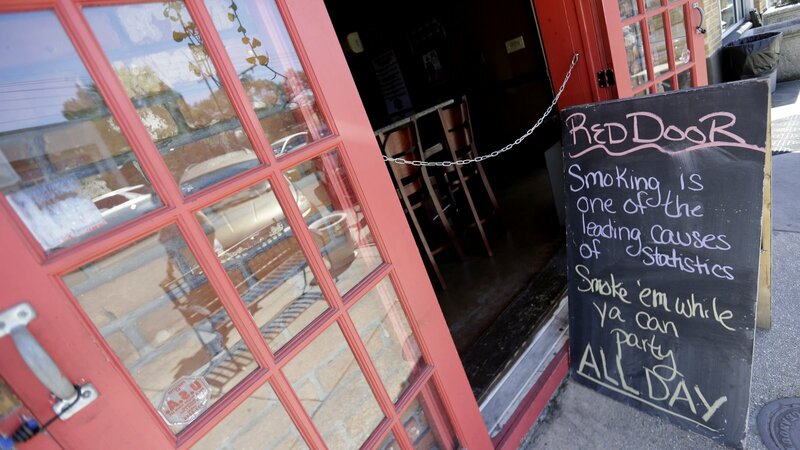 Houston and Dallas both don’t allow smoking in bars and restaurants, for instance.) Smoking bans are either scattered or lax throughout the South, which also has the highest smoking rates in the nation and the highest death rates from lung cancer. 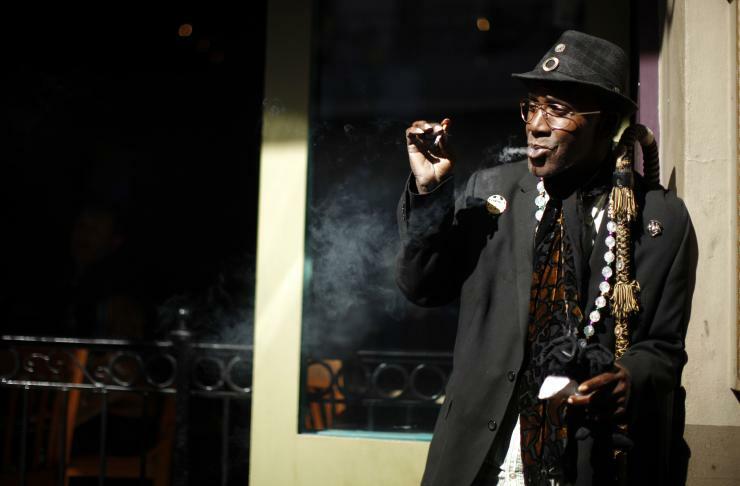 According to Time, several other communities in the South are looking at smoking bans in response to New Orleans’ ban. In Louisiana, Georgia and Mississippi, for example, some cities have started the process of creating their own bans after hearing about the new policy in New Orleans, according to Cynthia Hallett, executive director at the American Nonsmokers’ Rights Foundation. 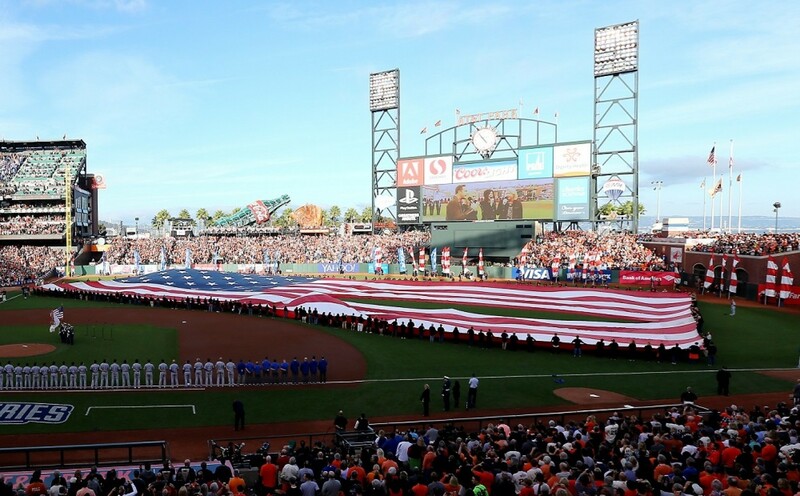 The San Francisco Board of Supervisors voted this week to ban chewing tobacco at all ballparks, including the Giants’ home, AT&T Park. The ordinance, which passed by a unanimous vote, will take a second vote next week, and it sounds like a bit of a formality. The ordinance would not go into effect until Jan. 1, so it would not affect ballplayers and coaches this year. There is also a similar bill in the California State Assembly to ban chewing tobacco at all ballparks in California — supposedly, this would apply to the Dodgers, A’s and Padres. The ordinance would ban everyone — even the players — from chewing tobacco publicly in ballparks. I’m wondering how they plan to enforce that if some ballplayers defy the ordinance. I’m kind of trying to imagine them telling some $20 million-a-year athlete to spit out his chew or else he might get a ticket. Chew is already banned in ballparks at the Minor League level. Smoking is banned in most, if not all, MLB parks (Honestly, that a good question, I don’t know if any parks in the country still allow smoking except in specially designated areas). I’m hoping that the action by San Francisco supervisors and the bill in the California Assembly will prompt baseball and the player’s association to take action. It’s long overdue. 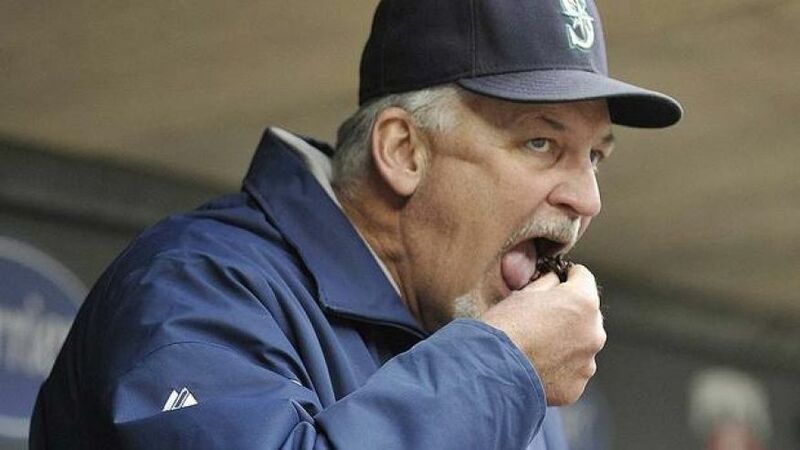 Too many kids getting the idea that chew is cool from watching their favourite players with a chaw in his cheek. Tony Gwynn died last year of salivary gland cancer and blamed his decades-long chew habit for his cancer. 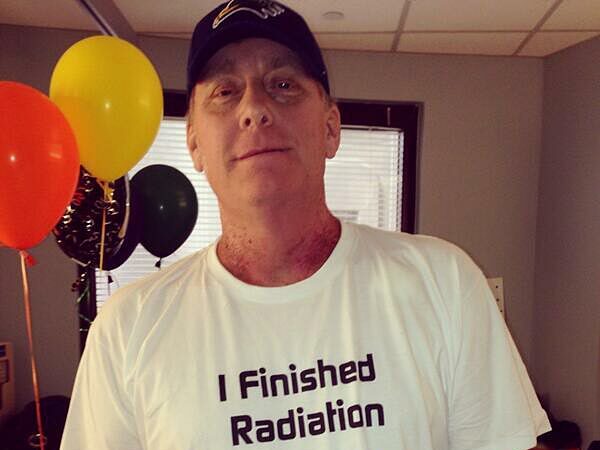 Curt Schilling last year also had a scary bout of oral cancer and likewise blamed chewing tobacco. “Today’s vote by the San Francisco Board of Supervisors is truly historic and a huge step toward eliminating tobacco from baseball for good. San Francisco will become the first city to take tobacco out of baseball, setting a powerful example that all of Major League Baseball and the rest of the country should quickly follow. 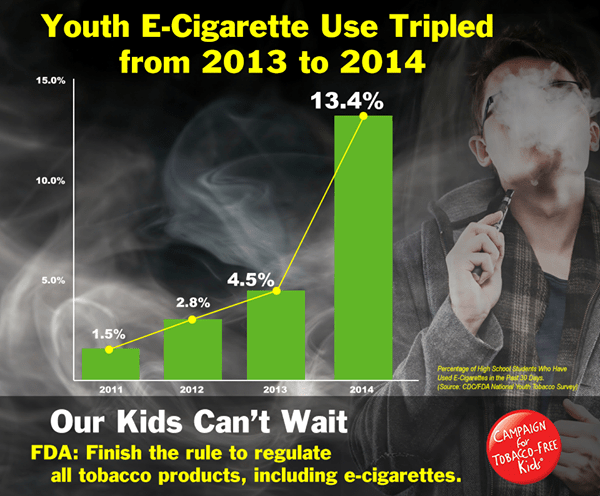 The Board of Supervisors recognizes some simple but important facts – kids see athletes as role models, and when baseball stars use smokeless tobacco the kids who look up to them are much more likely to as well. 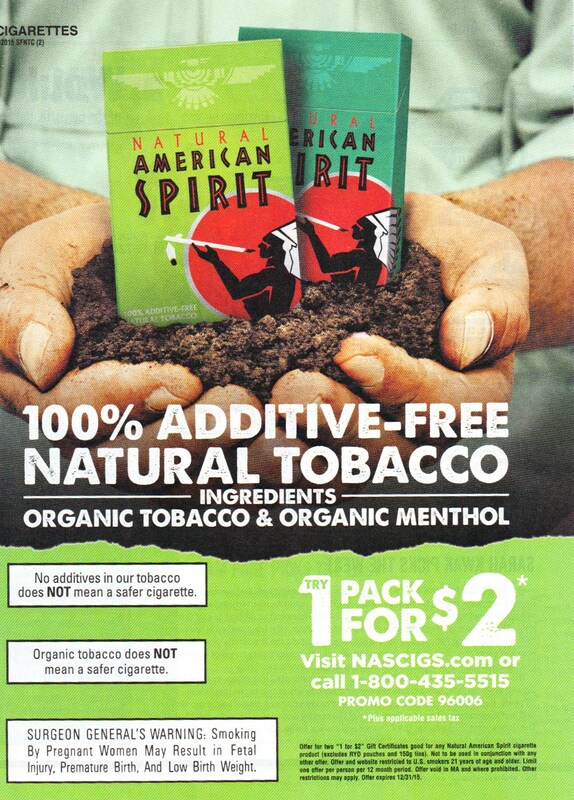 Our national pastime should have nothing to do with promoting a deadly and addictive product. Supervisor Mark Farrell has been a true champion on this issue, putting the health of San Francisco’s kids first. San Francisco is leading the nation on this important issue and helping us achieve our goal of the first tobacco-free generation. The latest study done by the FDA contradicts this notion, showing no tangible difference in the danger from cigarette smoke and cigar smoke. Chang and her colleagues combed through 22 studies from the United States, United Kingdom, Canada, Denmark, Sweden, and Finland that focused on cigar smoking, smoking-related mortality, and all-cause mortality. The studies focused primarily on white men from North America and Europe in the 1960s or earlier. Researchers assessed the health risks for cigar smokers and compared them to people with no history of cigarette smoking or people who have never used tobacco. People who smoked only cigars and had never smoked any other tobacco products still stood a higher risk for all-cause mortality. Risk for death caused by oral, esophageal, and lung cancers increased significantly after a person started smoking cigars, even if they reported not inhaling cigar smoke. People who smoked cigarettes before picking up cigars were at a significantly higher risk for lung cancer and chronic obstructive pulmonary disease (COPD) compared to those who smoked cigars exclusively. I found some other links that state that cigarettes do seem to be more dangerous as far as causing COPD than just cigars. What’s worrisome about this story is that cigar use is up — wayyy up. I believe part of the reason why is people are thinking cigars are safer than cigarettes. (The increase in cigar use has correlated with a sharp decline in smoking.) Cigar use has doubled in the U.S. from 6.2 billion in 2000 to 13.7 billion in 2011. 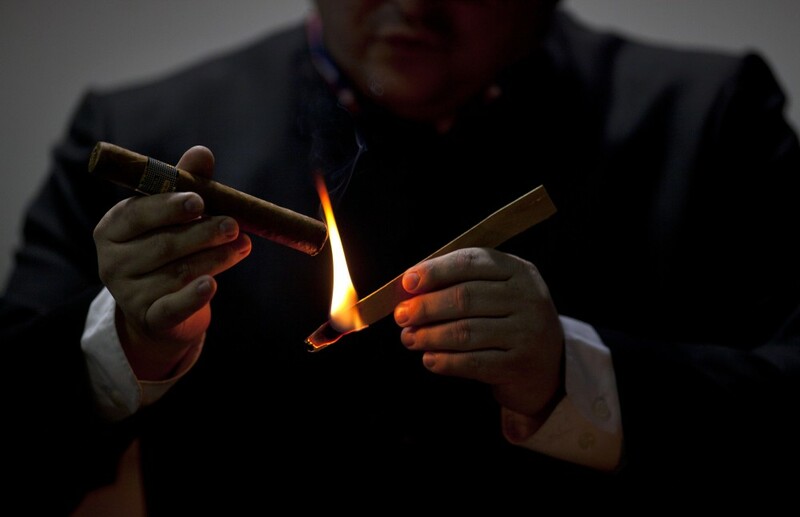 One thing to keep in mind about cigars is that they contain considerably more tobacco than a cigarette. 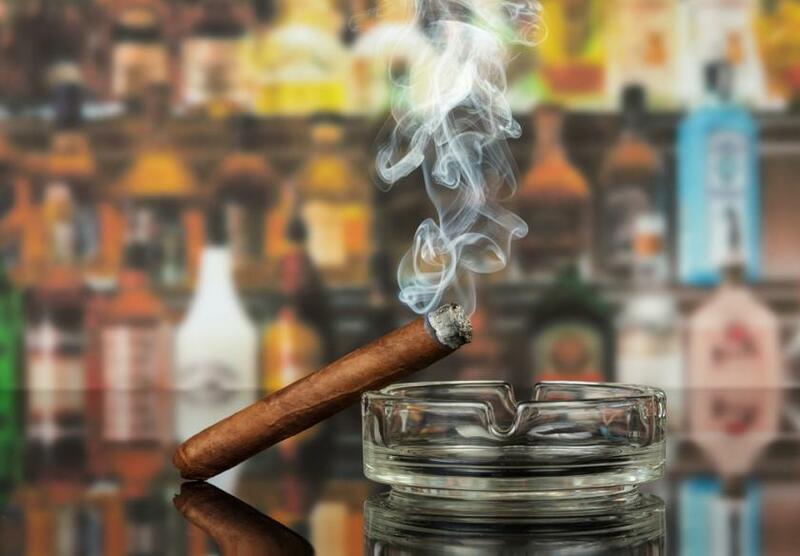 According to the Centers for Disease Control, one cigar contains as much tobacco as an entire pack of cigarettes. So, even if you just smoke one cigar a day, you’re consuming as much tobacco as 20 cigarettes. Another interesting study, this one from Newcastle University and scientists in Sweden and published in Nature, suggest that a chemical in pesticides which has chemical similarities to nicotine is killing bees. Scientists suggested the chemicals, which have a similar molecular structure to nicotine, may be affecting the reward centres in bee’s brain in the same way humans are affected by cigarettes. Professor Geraldine Wright, who led the study, said that the addictive effect was not something they had tested for and was only a hypothesis. “Like nicotine they are essentially amplifying the rewarding properties of the sucrose solution that they are located in and the bees think its more rewarding so they go back to that food tube to drink more of it,” she said. Previous studies have showed rat’s brain responding to neonicotinoid in this way. It’s no secret that bee populations have been declining and pesticides are the biggest suspect for that. Some of these pesticides have already been banned in Europe and they could be banned in the U.S. Perhaps because the bees become addicted to the neonicotinoid chemicals, they are more attracted to nectar that has been sprayed with it. Christopher Connolly, who studies human and bee neuroscience at the University of Dundee, UK, and has published work6 showing that neonicotinoids interfere with neuron function in bumblebees, says that he was already convinced that the pesticides are bad for bees. Now, “the questions need to move to a different level”, to elucidate the mechanisms. He said Rundlöf’s results were questionable as the levels of the pesticide found in pollen on the bees was higher than in previous studies , suggesting that Rundlöf had treated the crops herself rather than using industry-standard seeds. 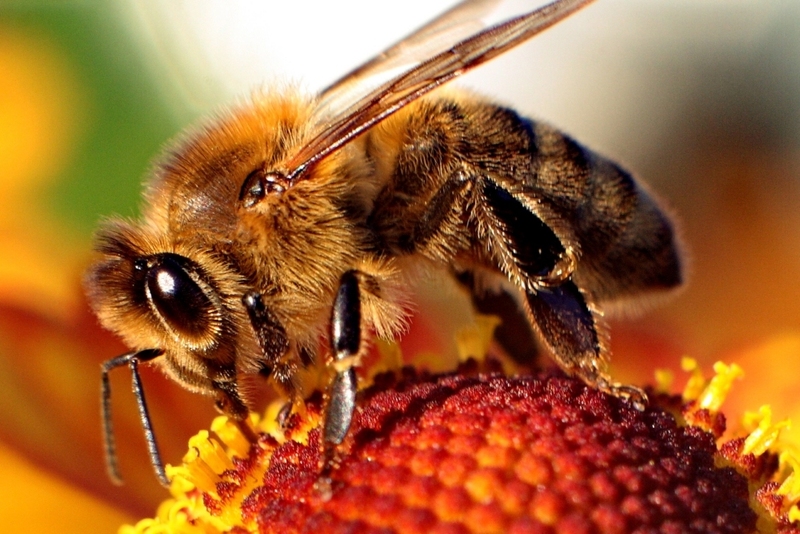 “Bayer CropScience is pleased the Swedish study demonstrates yet again there is no effect of neonicotinoids on honeybee colonies in realistic field conditions, consistent with previous published field studies,” said a spokesman for the agrochemical giant. But it criticised the methodology of Rundlöf’s experiment and said the study offered no proof of increased bee deaths. So, nicotine-like chemicals are not only incredibly addictive for humans, but according to these studies, apparently for bees, too. An interesting story from NBC News. A new drug, called Keytruda, can apparently use the body’s own immune system among some patients to fight both lung cancer and melanoma. 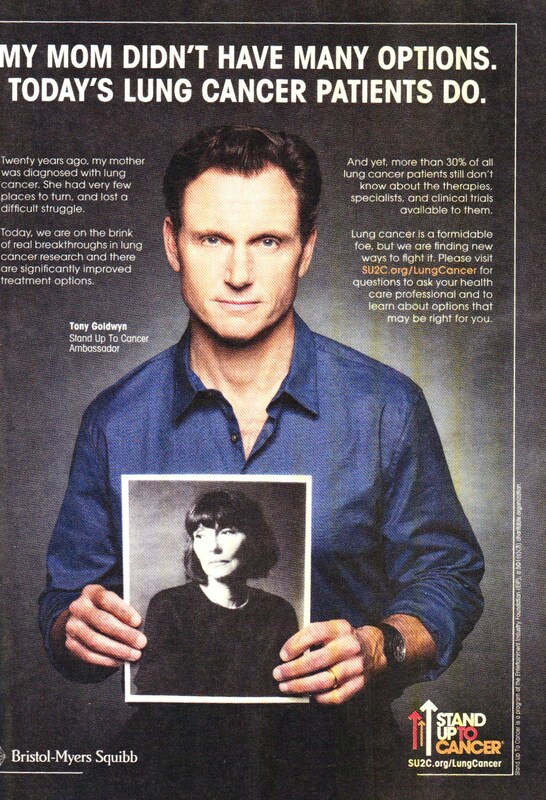 Before you think 19 percent is a petty amount — keep in mind lung cancer is the No. 1 cancer killer in the world. 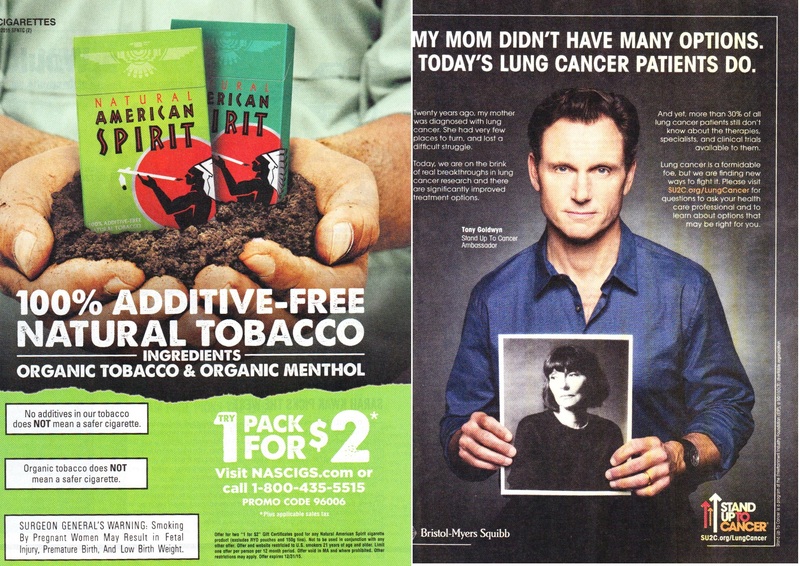 In the U.S., about 224,000 people a year get lung cancer. 19 percent of 224,000 is 43,000 people … a year … in the U.S. alone. Currently, about 160,000 people a year die of lung cancer each year. We’re talking about potentially cutting that number by 25 percent if this drug works as well as promised. 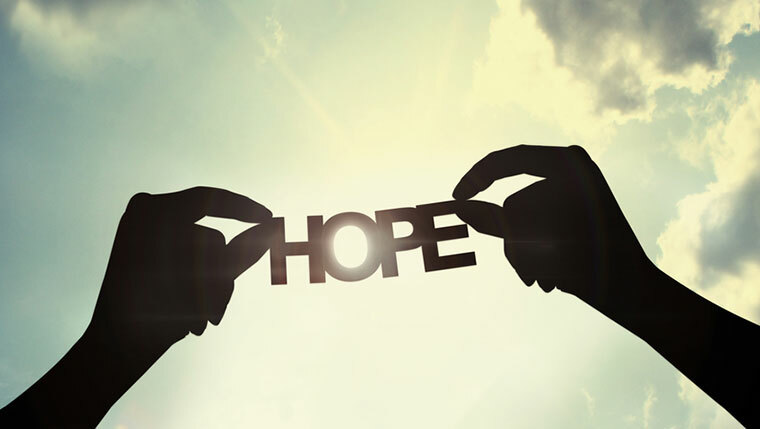 Most of the patients helped by Keytruda saw their cancer stop growing for about an average of a year, and some still haven’t had the cancer come back, Garon’s team said in their report, which was also published in the New England Journal of Medicine. About a quarter of the lung cancer patients in the trial had a mutation in PD-L1, and the people helped most by the drug were more likely to have the mutation, the researchers found. The drug, known generically as pembrolizumab, caused many side-effects, such as fatigue and rash. But so does chemotherapy for lung cancer. 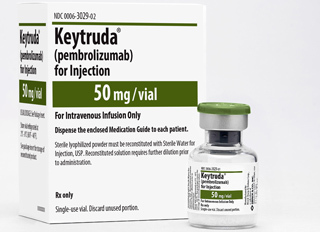 In a second study, researchers compared Keytruda to another immunotherapy drug called Yervoy in 830 patients with melanoma. After a year, 74 percent of patients who received Keytruda every two weeks were alive. This dropped to 68 of those dosed every three weeks. To compare, 58 percent of patients who got Yervoy lived a year or longer, researchers reported. It’s not a cure. Another one of many, many baby steps toward a cure to the Plague of the 20th Century. Thank goodness my town has a hockey bar now where I don’t have to argue with the bartenders to turn switch the basketball game that no one is watching to the Stanley Cup playoff game. My favourite era of hockey was from the 90s to the early 2000s, despite the poor scoring of the time. This was when I lived in the San Juans, and you could get all the games from CBC. They showed two games every Saturday (usually Montreal, Ottawa or Toronto in the late afternoon, then Vancouver, Edmonton or Calgary at night). 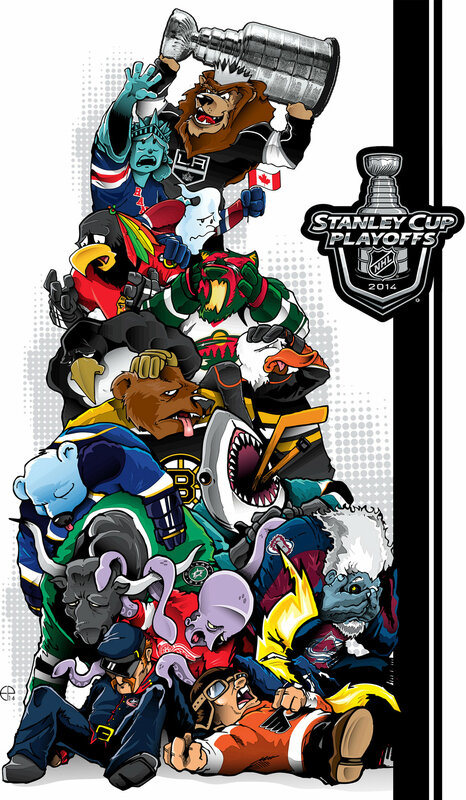 Then CBC just showed Stanley Cup playoff games constantly for two months from mid-April to mid-June. 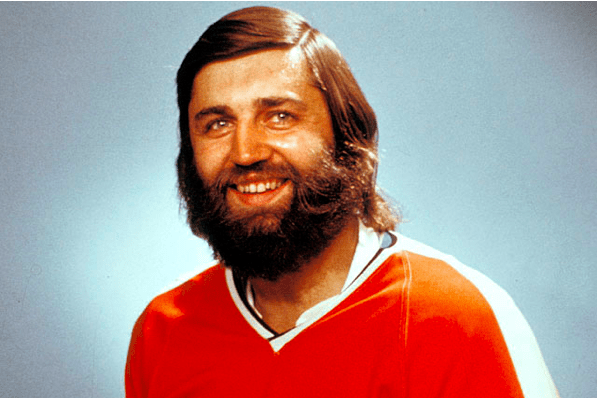 I also used to love the hockey commercials on CBC. 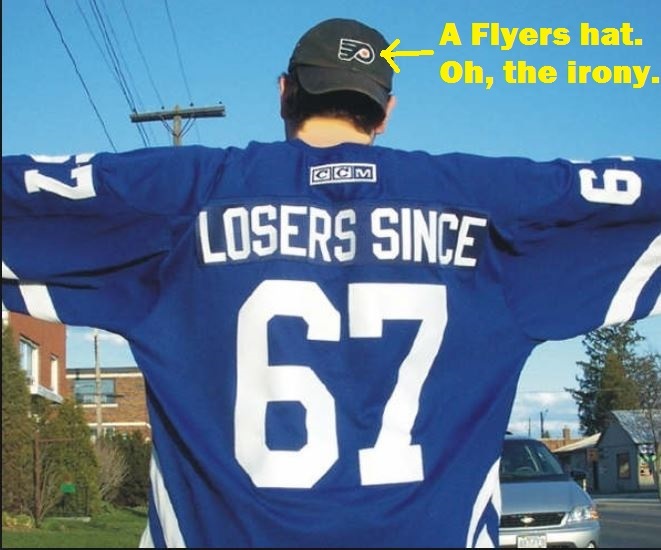 My favourite will always be the “Die Maple Leafs! Die!” Nike commercial. I kind of fell out of love with NBA basketball around the same time. I used to love the NBA of the 80s — the absolute epic, legendary battles between the Celtics and the Lakers and the other teams lying in wait — the 76ers, Pistons and Bulls. Each team had their own style and identity uniquely theirs. I think basketball has lost that, all the teams seem to run the same offences today. I will probably still watch some of the NBA Finals, especially if Golden State gets in. I’m sick of the Spurs. One timeout a game. ONE! What specifically turned me off of basketball was the Western Conference finals one year in the ’90s between the Lakers and Kings. In Game 7, the refs called blocking foul after blocking foul on Sacramento players as they literally stood there holding their hands up and Shaq traveled and jumped into them. Shaq got away with traveling and charging on virtually every play, but because he was Shaq, the refs called it the other way. 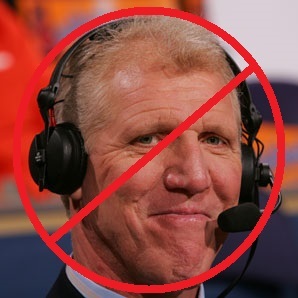 There is no Bill Walton in hockey. 1) My favourite reason. 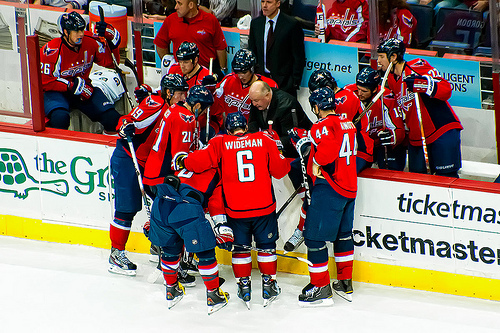 Hockey teams are allowed ONE timeout. ONE. How many do you get in basketball. Like 10? The last two minutes of a basketball game take 20 minutes sometimes, I swear. 2) No Bill Walton. No Joe Morgan or Rick Sutcliffe or Tim McCarver for that matter. But, mostly, no Bill Walton. 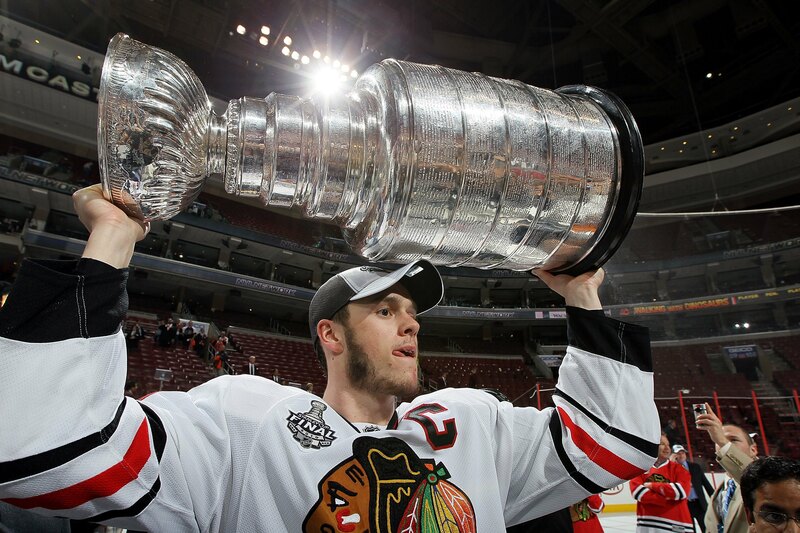 3) The best, most beautiful trophy in sport. What does the NBA have? A gold-plated basketball. 6) The names! Every unpronounceable, unspellable name from Tarasenko to Pacioretty to Silfverberg to Zuccarello. 7) Every team has a shorter nickname than its official nickname. Penguins = Pens. 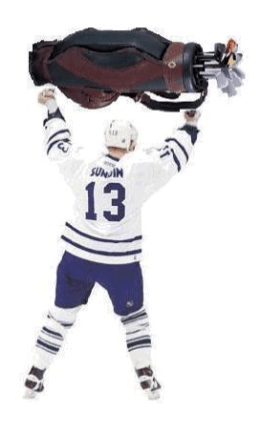 Senators = Sens. Canadiens = Habs. Predators = Preds. Blackhawks = Hawks. Lightning = Bolts. Wild = …. well, the Wild are one of the freak teams. 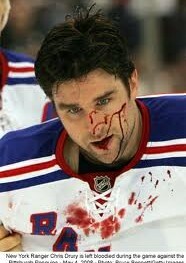 8) Hockey wounds. Stitches. Right back on the ice. 9) The sounds! The puck off the post, the puck hitting the stick on a sharp pass, the thud on the boards during a massive collision, the goal horn. 10) No Toronto yet again. That’s a cherry on top. Curt Schilling wrote an open letter to himself on a site called “The Players’ Tribune” about the dangers of chewing tobacco. 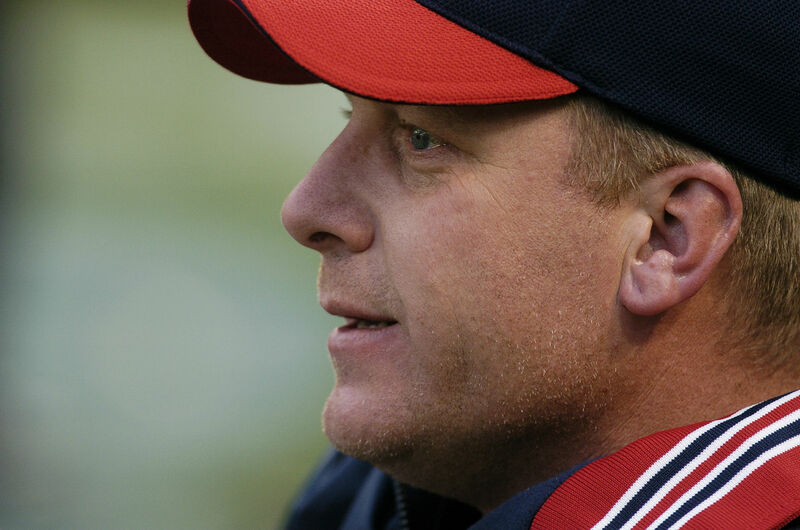 Curt Schilling as you know, was a longtime chewer who last year developed oral cancer. After months of chemo and radiation, he is cancer-free and is now a big anti-chew advocate. Schilling isn’t my favourite player out there. He’s a bit of a blowhard, I don’t like his politics and I don’t have a lot of patience for athletes who feel the need to rub their faith in people’s noses, but when it comes to the issue of chewing tobacco, he’s on the right side. Tomorrow at lunch, a kid is going to dare you to take a dip of Copenhagen. If you say yes, like I did, you’ll be addicted for the rest of your life. Well, the rest of your life up to the point when you are diagnosed with cancer. I get what you’re thinking. You’re 16 — you’re invincible, just like all your buddies. If you were to jump ahead 33 years, you couldn’t write a better dream than the one your life is going to be. If you say yes tomorrow, you will become addicted to chewing tobacco and you will get mouth cancer. You will develop sores, you will lose your sense of taste and smell. 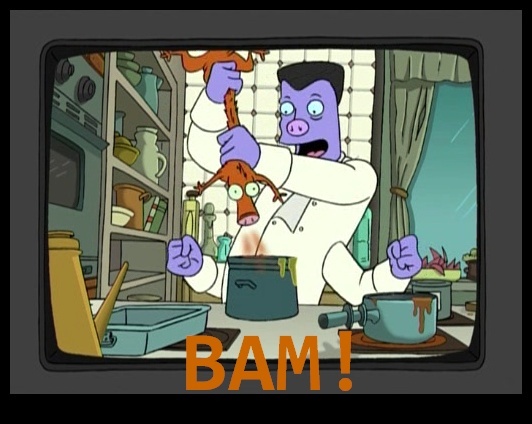 You will develop lesions. You will lose your gums — they will rot. You will have problems with your teeth for the rest of your life. You will meet men — many good, honest men — who chewed. None of them will have their entire face. They will be missing jaws, chins, cheeks, noses and more. None will live more than a year or two after you meet them. All of them were tobacco chewers. You will meet Joe Garigiola. He will introduce you to Bill Tuttle. Bill will have no lower face. His entire lower jaw is gone. It was that, or die of mouth cancer. Well, not “that or,” because that mouth cancer would kill him inside of two years. You will brush your teeth and your mouth will bleed. Not light blood from your gums, but darker blood from deeper inside your mouth. That’s the chew destroying your tissue. You will get message after message, but your addiction will always win, until it wins the biggest battle. If you say yes tomorrow, you will begin to kill yourself from the inside out. It’s difficult for you to understand in this current phase of your life, but by chewing tobacco, you are jeopardizing your participation in what will be some of your most important moments. You will risk any chance of seeing your four amazing children graduate high school. You will potentially lose the opportunity to walk your daughter Gabriella (who, like her dad, will be blessed with simple yet outstanding pitching mechanics) down the aisle. You will risk not seeing Gehrig, your oldest son, pitch for four years at a New England college. You may miss your son Grant graduating high school and changing the world. And you may be absent as your youngest son Garrison — who aspires to follow in your father’s footsteps and join the army — masterfully plays goalie with a remarkable passion. Your dad is going to die in five years. You know what’s going to kill him? A heart attack brought on by heart disease and lung cancer caused by tobacco use. He’ll die right in front of you. Finally, consider this: How many kids will start dipping over the next 32 years because they saw you do it? Do you want that on you? No? Then my advice is simple. Tomorrow, at lunch, just say no.